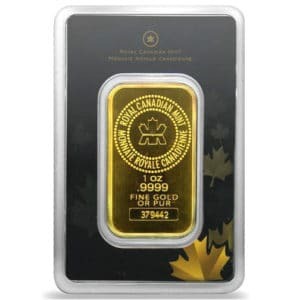 Recently, Mike Maloney released a video in which he highlights his personal motivations for buying silver and gold. The video was born out of desire to provide a more personally contextual rationale for investing in silver and gold which goes beyond the usual run-of-the-mill answers one would find on various online blogs and articles. While the content in the video is excellent and provides a more educated and nuanced set of reasons from both a personal and a global perspective, I couldn’t help sense that it was still somewhat disconnected from the South African context. That is, the socio-economic rationale and psychology of South African precious metal investor goes deeper. Therefore, I would like to humbly take this opportunity to list my own reasons for investing in silver and gold, as a South African. As a South African, I believe that the current government is not trustworthy. Majority of the leaders in government simply do not have the best interest of their fellow South Africans at heart. This is true for all classes and races; citizens are merely a means to an end. Self-enrichment has become the highest career goal for many leaders and their parasitic associates. Firstly, the confiscation of land without compensation has become the default phrase whenever certain politicians have nothing of substance to say in the way solid strategies to alleviate poverty and reduce inequality. The narrative that has been spewed forth seems to suggest that once land is redistributed, poverty and inequality will be methodically addressed. But this is simply not true; land and poverty are not necessarily mutually exclusive. While redistribution of wealth (whatever this may mean strategically) is certainly an obligation if South Africa is to avoid an inequality gap that may lead to civil war, I do not believe that confiscating land is the answer. Talk of confiscation of land without compensation makes me nervous because of the ethical/social implications. Can the government be trusted to draw a line in the sane and commit to confiscate only certain types of land (like productive farmland)? Or, once farms have been redistributed, it is a matter of time before certain residential and commercial properties will become far game too in the name of addressing inequality? Sadly, I am not confident in an answer either way. Secondly, another slogan that South African political demagogues turn to is ‘nationalisation’. It seems that with the Socialist / Communist leanings of most government politicians, salvation of the country’s economy lies in the strategy of nationalising mines and banks. Yet reality points to something completely the opposite; a complete failure of this strategy (to date) to accomplish anything other than causing the unemployment numbers to rocket and enrich a few well connected individuals. I shudder to think that there is a possibility of handing a bank to some of the most corrupt individuals in the country! The treasury has basically been captured, so not much of an imagination is required to see a future South African in which politicians control the entire set of financial institutions in the country, without any accountability. Thirdly, retirement funds (if they have not already been raided and looted) seem to be the biggest dangling carrot that may prove to be too irresistible to pass. Talk of another bailout of bankrupt state parastatal (think SAA, SABC, and so on) using pension funds is not merely a story dreamed up by mischievous journalists in the dark corridors of anti-government organisations. These are actual strategies openly discussed by the government. Even if not an outright repossession, I would not be surprised if pension fund beneficiaries are given a ‘haircut’ and justifying it as some sort of a wealth tax or restitution tax for past injustices. Fourthly, state capture via the Gupta family makes the perfect case for the lack of interest that the government has towards the poor and starving. But sadly, the web of this evil extends much further than the Gupta owned companies and subsidiary contractors that made looting as such a large scale possible (think KPMG). This is merely the tip of the iceberg; it is merely what we know about. I suspect that the level of state capture, looting, and corruption goes deep enough to warrant calling it systemic. The problem with corruption that is systemic and complete is that it has gained sufficient critical mass and velocity to ensure that any effort to root it out or contain it next to impossible in a single generation. Hitting the breaks of an out of control truck surely begins to slow it down, but it may smash through many cars before it comes to a complete stop. Sadly, while this destructive truck of corruption through means of state capture comes to a stand-still, the carnage will continue for many years to come. This makes me distrustful of the rosy picture most government officials paint of the future about improving the general economy through job creation, controlled inflation, and addressing poverty and inequality. Fulfilling those promises while looting the state coffers is like putting tithes in the offering basket with one hand, but taking out with the other hand (plus a little extra). Lastly, the fiscal management of the economy leaves much to be desired. The recent downgrades by Standard and Poor and other agencies was a major blow to the country’s economic future and security. More ominous is the prospect of South Africa losing its investment grade status on its local currency ratings. While politicians often downplay such likelihood and deflect the gravity of the consequences, the reality is that such a downgrade could lead to massive capital outflows. If South Africa is excluded from Citigroup World Government Bond Index (which requires a non-junk rating from Moody’s Investors Service and S&P Global Ratings), hundreds of billions may flow out of the country. The result? A very weak rand that without the possibility of recovery in the near term. With such a scenario almost a certainty, gold and silver provide a hedge against an unfavourable and weakening currency. Owning silver and gold will ensure that even if the international spot price remains unchanged, the rand value of the metal will continue to increase, as the rand weakens. So, land can be confiscated, mines can be nationalised, retirement funds can be misappropriated, the value of our rand can be destroyed, and entire states be captured, but silver and gold have no counterparty risk associated with owning it. They represent real wealth in the hand. It is not an overstatement that it may be dangerous and irresponsible not to own physical silver and gold to safeguard one’s financial future in such a volatile and uncertain political and socio-economic context. In such an environment, silver and gold represent security against those who make a career goal to steal from the people. One of the reasons I studied and continue to work hard relates mainly to providing a future for my children. But beyond that, I wish to be successful enough financially to leave my children an inheritance. These twin prospects drive me more than any other reward hard work may provide. The question is, what form should a financial inheritance take should my wife and I pass away before our children are standing on their own two feet monetarily (perhaps even once they are adults)? Less morbidly phrased, what financial legacy do we wish to leave behind once we pass away peacefully in our sleep in our old age? How about money in the bank? Or wealth in the form of various policies and trust funds? How about property that they can later sell at a profit? Perhaps even my business? While all of these are valid and prudent choices, I think most people ignore having a small portion of their wealth in the most honest form of wealth there is; physical silver and gold bullion. Banks can close and liquidate; the South African rand can become worthless; trust funds can be mismanaged (not to mention the exorbitant fees to manage them); and property can be reclaimed or occupied. But physical silver and gold are known specifically for their resilience to protect against such contingencies. They serve to anchor one’s wealth and to provide a measure of security against the above possible eventualities. And protection of wealth built over years of hard work and prudent living means having the pleasure and opportunity to pass down an inheritance to my children. A simple wish, yet important to me. So, perhaps it is time to think beyond merely mainstream financial instruments when it comes to one’s wealth, especially in the light of our wealth potentially becoming and inheritance to our children and perhaps even our grandchildren. Over the past few years, the concept of a cashless society has taken root in the minds of numerous governments around the world. An outright ban on cash will become a future reality, as governments set up a system by which every single financial transaction is trackable. For example, in November 2016, India banned 500 and 1,000 rupee notes without any notice. These notes represent as much as 85% of the cash transactions in the country. Yet, without notice, money become worthless overnight simply by government declaration. There are more examples. ‘Australia, Singapore, Venezuela, the U.S., and the European Central Bank have all eliminated (or have proposed to eliminate) high denomination notes. Other countries like France, Sweden and Greece have targeted adding restrictions on the size of cash transactions, reducing the amount of ATMs in the countryside, or limiting the amount of cash that can be held outside of the banking system. Finally, some countries have taken things a full step further – South Korea aims to eliminate paper currency in its entirety by 2020’ (www.businessinsider.com/the-global-war-on-cash-2017-1). The crusade against cash is clear for all to see. In a cashless society, the government has the ability to simply cut citizens off from the economic foundation and prevent you from even purchasing bread should it decide to do so. Talk about the violation of life and food, if there is such a thing! The consequences on personal economics and social liberties are countless. While South Africa is not at the forefront of the war on cash, it is a matter of time before we follow suite (either by choice or force). I suspect that silver and gold (real money, historically speaking), which represent the sole alternatives to digital currency, will become enormously important and valuable. A ‘counterparty’ is a party with which a transaction is done. If A sells something to B, then B is a counter-party from A’s point of view and vice-versa. So, for example, even if you own your car outright, or have the title deed to your house, you are still liable to pay tax on those ‘assets’ or items. Although you own them, there is counter party risk (also known as ‘default risk’). That is, you are required to rely on someone else to fulfil a promise in order for your asset to maintain its value or to be usable. For example, if you own a car, but the government decides to no longer sell petrol, your car is worth virtually zero (apart from a very expensive and uncomfortable tent to be used for camping). 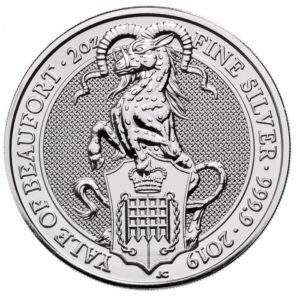 However, purchasing physical silver bullion permits direct ownership of silver without counterparty risk, (e.g. the management qualities of the mining company). I am convinced that this characteristic makes silver and gold particularly attractive to forward thinking and judicious ‘investors’ who understand the long term consequences of poor government today. This is especially true of nationalisation of mines becomes a reality, and mismanagement and looting a certainty. 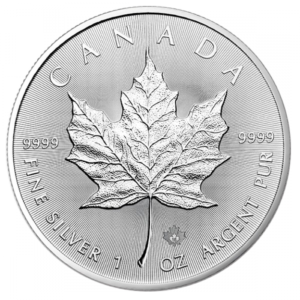 There simply is not enough silver available should silver hit the radar of the mainstream investor. For the South African investor, it is worthwhile to think of the present reality and data on silver mining in South Africa. According to www.gcis.gov.za, ‘South Africa does not have a primary silver mine and the metal is only produced as a by-product of other minerals. Silver was produced as a by-product from 13 gold operations, one uranium mine, two copper mines and two platinum mines in 2008. Despite the vagaries of the global economy, production increased by 8,1% to 2,7 million ounces of silver in 2008’. The most recent data that I was able to source puts the total silver mined in South Africa at 66 metric tonnes or 2.1 million ounces, worth about R550 million (at the spot price of R260). 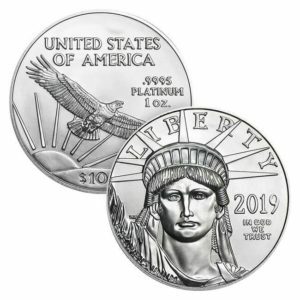 To put this into a global perspective, South Africa produces less silver in a year than the United States Mint required to produce American Silver Eagles in the month of April this year (the figure was 4 million ounces). More importantly, what this communicates to me as a silver investor is just how little local silver is actually available to the South African Investor. For example, Forbes estimated our future president Cyril Ramaphosa’s wealth to be almost R7 billion. This means that Mr Ramaphosa could purchase South Africa’s yearly silver production 12 times over, or, purchase every ounce of silver mined over the next 12 years. While the Chinese clearly would never allow that to happen, this clearly demonstrates either how ludicrously rich the deputy president is, or, how little silver South Africa produces on a yearly basis. 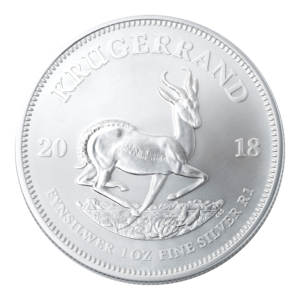 But on a more serious note, it seems to me that even if silver investing becomes more mainstream here in South Africa, the availability of locally mined silver for investment purposes will be relatively ‘petite’; less than 1/10 ounces of silver per adult per year. Therefore, owning silver (especially) given how little South Africa produces seems to be a prudent investment strategy. Blockchain technology and crypto currencies are all the rage these days. The reality is, that investors have flocked to Bitcoin and other cryptos and alternative cryptos in the droves. Most have made large profits. In fact, I think there is still profits to be made in the near future, although no one really knows where the price hikes may end or crash. But given that these cryptos are highly volatile speculative digital ‘assets’, one should not be surprised at such large gains. This is especially true when it is obvious the prices are often driven by frenzied investors fearing of missing out (FOMO). Perhaps the greater fool theory is applicable here. In any case, so far so good. However, as a dealer, I have observed that some investors have so much faith in Bitcoins (et. al.) that they sell their silver and gold and jump ship to cryptos. Often, they do so even if it means losing money (initially at least). Now, this is normal behaviour in the investment world, where one would discontinue or jump ship from non-performing investments to those that perform better or have better fundamentals for higher returns. But selling one’s precious metals (value you can hold and touch) for a digital asset (that exists only in the digital world), seems to be a poor decision. In my opinion, the poor decision is not to purchase cryptocurrencies and speculate, but the either-or philosophy that guides that decision. Physical precious metals AND cryptocurrencies must live side-by-side in harmony. Both should form of a healthy and balanced investment portfolio. To avoid further preaching, my point here is simply this: I think the crypto bubble will pop, or deflate, or become overly regulated, and the masses (those with healthy profits) will eventually reconsider silver and gold. And when that takes place, given the previous point, silver and gold premiums will increase as production and supply will hit a short squeeze. A lot of crypto-profits will be chasing silver and gold. If that eventuality arises, I would prefer to be the holder of silver and gold, in the market to offload for profit, rather than trying to get my hand on a few ounces of silver or gold. In addition, I suspect it is only a matter of time before cryptocurrencies are married to physical precious metals in some ingenious way. (This is already taking place, in fact) That is, the creation of a decentralised digital currency that is connected to physical precious metals guaranteeing its value beyond merely the electricity consumption costs it takes to mine it. Being in a position of owning precious metals in such a scenario would guarantee wealth security far more than for those who have only digital currencies chasing physical metals in order to have access to a gold and silver backed digital currency. I suppose following the heard may pay returns only for a short time. After that, it is the contrarian investor that laughs last. The above six points are not meant to be taken as investment advice, or economic fortune telling. They are merely a few (perhaps long-winded) thoughts and opinions as to my own personal rationale for continuing to purchase precious metals, which ought to be included in any healthy investment portfolio. My hope was not to convince or persuade. Rather, I hoped to share with you my own thoughts and insecurities. Perhaps you have identified a few of your own thoughts and motivations through the ones that I have shared.